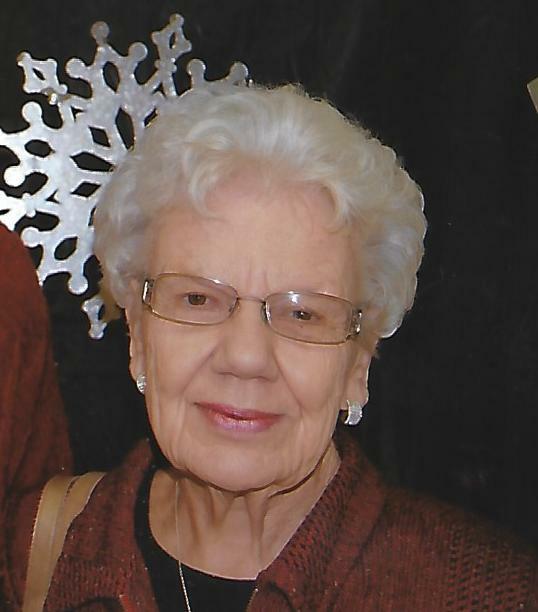 Christine Schneider, 88, of Carmi passed away at 7:20 a.m., Friday, February 8, 2019 at Deaconess Hospital - Midtown in Evansville, IN. She was born in Carmi on March 9, 1930 the daughter of William R. and Irene (Phipps) Walker. Christine married her high school sweetheart, John Schneider on June 3, 1948 and he preceded her in death on December 17, 2014. She was a 1948 graduate of Carmi Township High School. Christine was a member of First Christian Church in Carmi where she was a member of the Christian Workers Sunday School Class, and active in Joy Group and the Sewing Club. She was a key lady for Wabash Christian Village along with being the Wabash Christian Village Auxiliary Coordinator. Funeral Services for Christine Schneider, 88, of Carmi will be held at 10:00 a.m., Tuesday, February 12, 2019 at the First Christian Church in Carmi. Burial will be in St. Polycarp Cemetery in Carmi. Visitation will be held on Monday, February 11, 2019 from 5:00 p.m. until 8:00 p.m. at the First Christian Church. Memorial contributions may be made in Christine's memory to the Wabash Christian Village Auxiliary and will be accepted at Campbell Funeral Home in Carmi who is in charge of arrangements.